Locke actually wrote out all these D&D comics a while ago. There’s gonna be one more strip to round out this little story arc, and then there’ll be a few one-shot D&D jokes after that. It’s gonna be great! 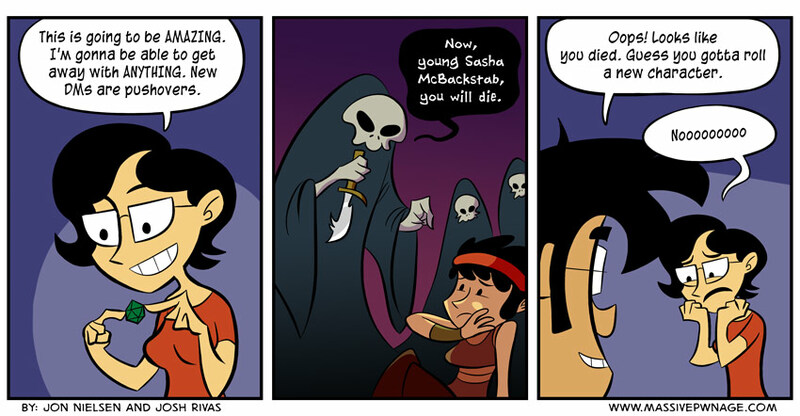 This entry was posted on Monday, April 8th, 2013 at 12:00 am and is filed under Comics. You can follow any responses to this entry through the RSS 2.0 feed. Both comments and pings are currently closed. Is that Tika’s actual DM character?